LogoTalk.Net is pleased to be joined by Barbara Johnson. Barbara has been involved with people development since 1979. Her mission is to have children heard, women valued and men uplifted. It is the uniqueness of person in their unique circumstance that keeps Barbara well engaged. Barbara has a Bachelor of Arts in Psychology, Education and Communications from the University of South Africa. She is a TAG Graduate and Quest Graduate SA and has studied Personal Transformation Capacity Building at the University of South Africa. She is also a Diplomate in Logotherapy from the Viktor Frankl Institute of Logotherapy. Barbara offers her services through Leadership Dimensions, a business all about People-Centered Development. Her focus is on Meaningful Living, Leadership and Transformation. Leadership Dimensions uses an eclectic approach in assisting and developing the uniqueness of people in and into both Business and Personal roles; equipping them for meaningful leadership, generative transformation and responsible living. Barbara can be contacted through her company, Leadership Dimensions. in conjunction with the 18th World Congress on Logotherapy. 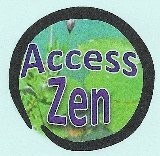 On Thursday, September 24, 2011, I was interviewed live by Gregory Foster on Access Zen, an Internet radio show dedicated to living life to the fullest. The topic of the interview was Logotherapy and Viktor Frankl. The guests following me discussed the application of Logotherapy and meaning-centered approaches at the University of Santa Monica Freedom to Choose Service Project. The University of Santa Monica now offers a master's degree in the new area of spiritual psychology.